Public Works Superintendent Scott Bartlett's kids are all grown now, but that didn't stop him from getting excited when he heard that the town's parks and recreation director was making a trip to Bristol during the Fairfield American Little League team's run to the Little League World Series. "I said, `Really? Want a passenger?' " Bartlett said he asked Gerald Lombardo, the rec director. "I took some vacation time and jumped in the car." He got to see the semifinal win over Vermont, the one that went into extra innings. The whole experience, Bartlett said, was pretty awesome, and not just because Fairfield won. "I just thought the stands were filled with good, positive energy," he said. As part of his job, Bartlett creates and maintains playing fields for teams throughout town. "Anybody who knows me knows I support play at all levels," he said, and he takes pride in helping to provide the athletic facilities. "It gives kids something to do," he said. 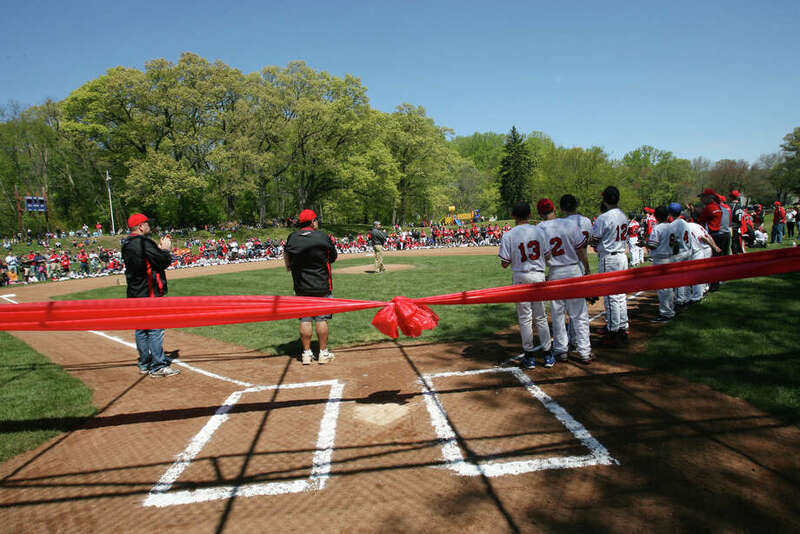 The facilities included the recently overhauled fields at Gould Manor Park, where Fairfield American Little League, which paid for construction, worked with the town to come up with a new design for the complex. But it's doubtful that when Fairfield American's opening-day ceremonies took place at Gould Manor this spring that anyone expected the season would unfold the way it did. Just two years after the league sent a team to Williamsport, Pa., to compete in the World Series, there they were again. And the team's can-do spirit galvanized support not only from the players' families and friends, but a legion of hometown fans. Among many memorable moments from Fairfield American's championship run were the nail-biter over Vermont that Bartlett was in the stands for, and Will Lucas throwing the 47th no-hitter in Little League World Series history. That gem made it as the top play on ESPN SportsCenter's "Top-10 Plays" and landed Lucas on radio's "Dan Patrick Show." Back home, legions of fans -- many of whom probably had never watched a Little League game in person -- gathered at the Old Post Tavern and Colony Grill to watch the games and to cheer on their hometown heroes. And though they didn't make it to the final game in Williamsport, the players got a heroes' welcome when they returned to town Thursday for a rally on Sherman Green. "I think people anticipated that the team would advance deep in the tournament, but I don't think there was a true expectation to reach the Little League World Series," Fairfield American coach Bill Meury said. "I know the boys focused only on the game they were playing that day." Many of the 11 players had been teammates for three years and claimed state championships as 10-, 11- and 12-year olds, as well as an East Regional crown as 10-year-olds in 2010. "There is a great deal of good fortune required to just get out of our district and section," Meury said, "which consist of very good teams like Fairfield National and Wilton." The 2010 team's success, he said, made the players realize that while reaching the LLWS would be a major challenge, it wasn't outside the realm of possibility. Fairfield American president John Sohigian said he doesn't expect this year's success to translate into more Little League players. "We've always had a good number of kids," he said. "Over 800 kids the last four or five years, and we expect it to stay that way." What the league has done, however, is add a summer season of baseball, something that began last year. "We've added a summer house league, and that has been a resounding success," Sohigian said. "This year, we asked the National League to join us." But don't ask Meury or Sohigian to pick one favorite memory from this memorable season. "It's tough to pick one lasting memory," Meury said, adding after four years of coaching the Fairfield American team, he and his fellow coaches "are just very impressed with how they developed as ballplayers and people." For Sohigian, one highlight, of course, was Lucas' no hitter. But there was also the way the boys behaved both on and off the field. "They were phenomenal representatives for both the league and the town," he said. "They were talented, but not arrogant." Most importantly, Sohigian said, "They had a lot of fun doing what they did, and they gave us a wonderful summer."